I don't know about you, but I love music. I feel like there is some form of art that most people see life through. Some draw, some write, some dance. I see life through music. Ever since I can remember I have been singing. I distinctly remember being young and going into the bathroom while my Mom was getting ready to go to work to show her how I had vibrato in my voice. I've been singing along to Disney and showtunes for forever, and then mainstream music as I got older. I was in band in elementary school and played the flute until I was in 8th grade when I decided to switch to chorus, which is what I did until I graduated from high school, along with musical theatre and show choir. Music is one of my drugs of choice so I found it fitting to have a little series that focuses on some music that I am loving. I'm kicking this series off with someone who I just saw in concert last weekend so I'm on a little bit of a kick with him, and that would be Amos Lee. If you know who that is, I am thrilled. I didn't for a while until my Mom introduced me to him. In Philadelphia there is an amazing public music station, WXPN, that really lends itself to independent artists. It's pretty well-known as far as those radio stations go and they host all sorts of concerts throughout the year, as well as a big festival every July. My Mom is a loyal listener to this station and that's where she discovered Amos. She'd gone to see him several times before and raved about him to me. She told me that he would be opening up for Jack Johnson, whom I love, and asked if I wanted to go. Of course I said yes! We were coming home from another concert (my Mom and I go to a TON) and she played me his one song, Arms of A Woman, and then followed up with another, Careless. I was hooked. Amos' style has changed over the years, but for the most part I would say he's folky and funky. Some happy fusion of the two. Maybe a little country in the beginning. He's actually reworked some of his earlier work to reflect his current style of music, so when you go see him you hear the newly reworked version of some of his classic songs. You actually might know him and not even know it. I can't tell you how many commercials I have heard his song, Sweet Pea, in. It's in one for insurance now, I think? Or maybe something to do with babies. Or maybe both. I can't remember. Either way, I know it was in a ton before this one. There was one commercial that it was in that got played so often that I hated that song. But I'm over it now! I love it. He also has appeared on the Zac Brown Band album Uncaged and sings on Day That I Die. The past two times that I've gone to see ZBB live he has come out to sing a song or two, usually a Boyz II Men cover. Seeing Amos live is always a super fun time. He grew up in the Philadelphia/South Jersey area so whenever he comes around here he's always home. In fact, we saw him earlier this year on the campus of Princeton University and his mother was there and kept yelling out corrections to his stories which was pretty entertaining. And honestly, his concerts usually are pretty entertaining, that one especially. The theatre he played at maybe held 500 people? It was tiny. And people were yelling out requests, someone gave him a $100 bill to take a sip of his drink. It was like a stand-up comedy show and a concert all in one. I laughed so hard. He launches into stories about his songs and where he was at specific moments when he wrote the songs. It's like watching Storytellers live. Is that even a thing anymore? I actually was wondering with my Mom about if he is like this in other cities or if it's just when he's here since he has so much family so he feels more comfortable. Either way it's never boring when seeing him live! So, where should you start with Amos, should you be so inclined (hint, you should be so inclined). He put out an album last year entitled Live at Red Rocks where he sings with the Colorado Symphony Orchestra. To say it is gorgeous is an understatement. A lot of the songs are arranged a little differently than they are in their original state on their albums but it doesn't take anything away from the songs. It's really beautiful. Plus, it's kind of like a greatest hits album so you can get a taste for what he brings to the table. I would also recommend the song I referenced before, Careless. I think it's so beautiful; sad, but beautiful, which is generally right up my alley. I'm a total sucker for sad ballads. He put out a new album this summer that is really good and obviously reflects his current style. I love the songs Vaporize, Spirit, Running Out of Time, and Lightly. And if you don't listen to Live At Red Rocks, you better listen to Keep It Loose, Keep It Tight, which is my favorite song of his. 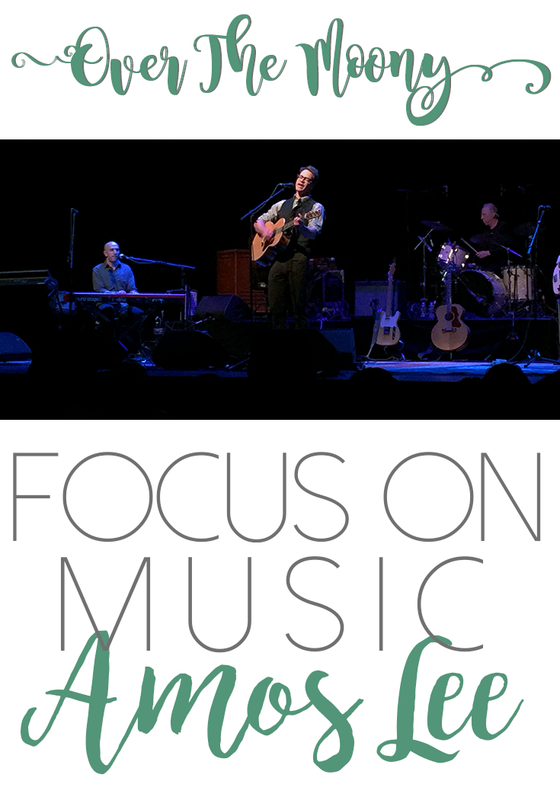 Are you an Amos Lee fan? Have you seen him live? Tell me what he's like in other cities! Or tell me about how much fun you have at his Philadelphia concerts. Either way, let me hear about it! And tell me some artists who you're currently loving lately!